My mom always said life was like a box of muffins. You never know what you're gonna get. 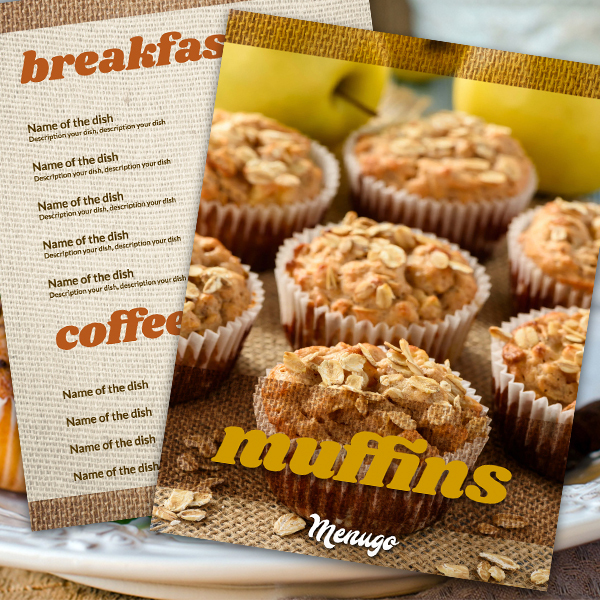 But our designers team know exactly what you gonna get if you have a muffins store or bakery- it's our new Muffin Menu Template! Juicy pictures of muffins, designed in a cozy style template which you can personalize in minutes.